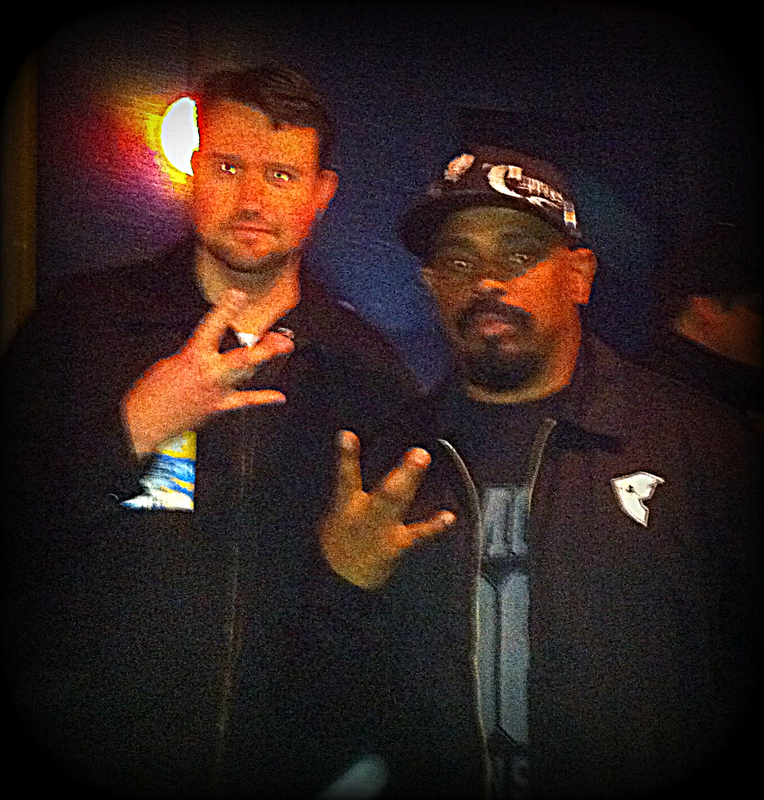 Last night I got a chance to see Cypress Hill, meet the band and spend some time hanging out with Jay. It was cool getting together with Jay on the 11th anniversary of Rain Station's "Stonedozer" release. 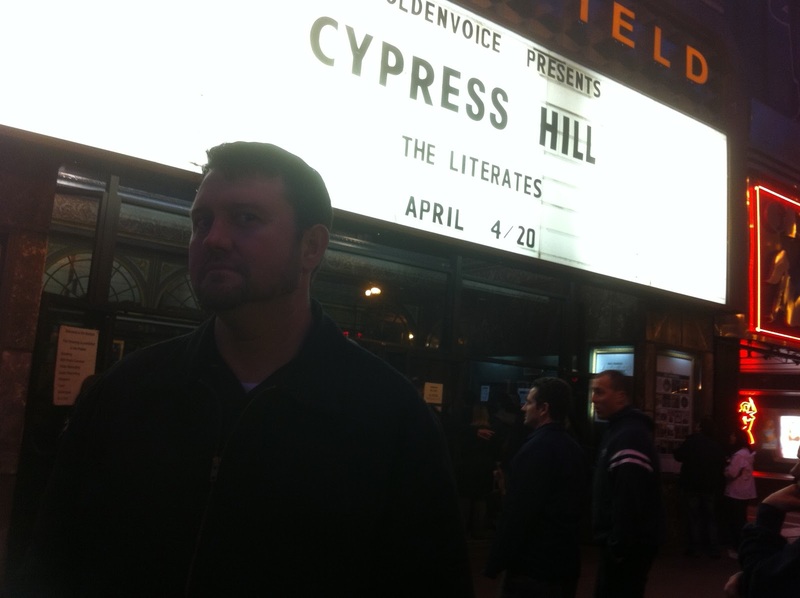 I had won a contest for free tickets and a meet and greet with Cypress Hill. I was pretty happy to get the chance to see them again. We headed out toward San Francisco. As we approached the Warfield I saw Taqueria Cancun (I didn't know they had a Market Street location) and I KNEW I had to have that for dinner. 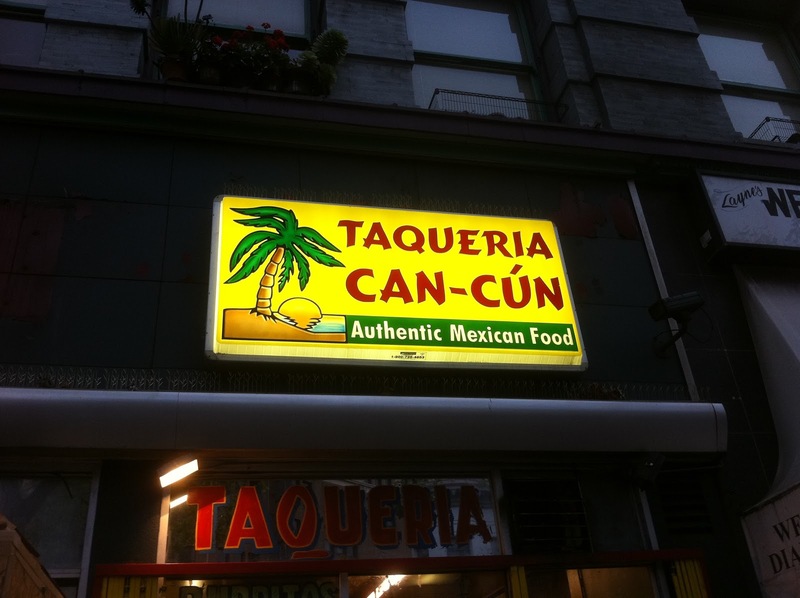 Many years ago Cancun was the "go to" place for Jay and I when I was hanging out with him in the Mission. Needless to say the food was tremendous and it was nice to have dinner with Jay at Cancun. Just like old times. I got a call from Cypress Hill's management company letting me know they were delayed leaving Denver and that the meet and greet was going to be moved back an hour which wasn't a big deal to Jay and I since it gave us more time to enjoy our dinner. What we didn't realize at the time was it also meant that the guest list wouldn't be turned in so when Jay and I arrived at the Warfield we were told we needed to wait to get in. Jay mentioned how efficient it was for them to call us, yet not so efficient not to have emailed a guest list ahead of time. We wanted to wait inside, but couldn't. We wanted to stand up against the building under the overhang, but weren't allowed to. So Jay and I hung out in the drizzle for about 45 minutes waiting to get in. 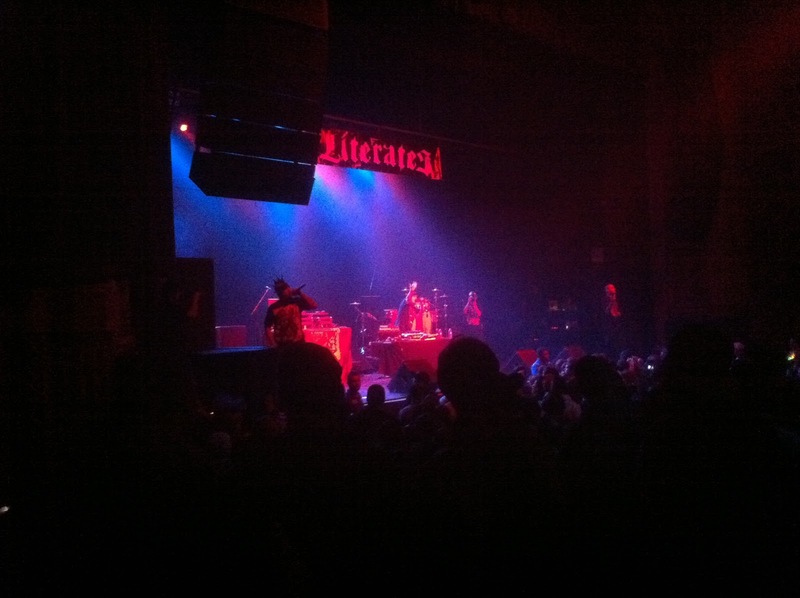 Once we got it it wasn't long before the opening act, The Literates, got started. They played a strong set and the crowd seemed to be into them. I kept watching the clock as I knew it would soon be time to head back stage to meet the band. 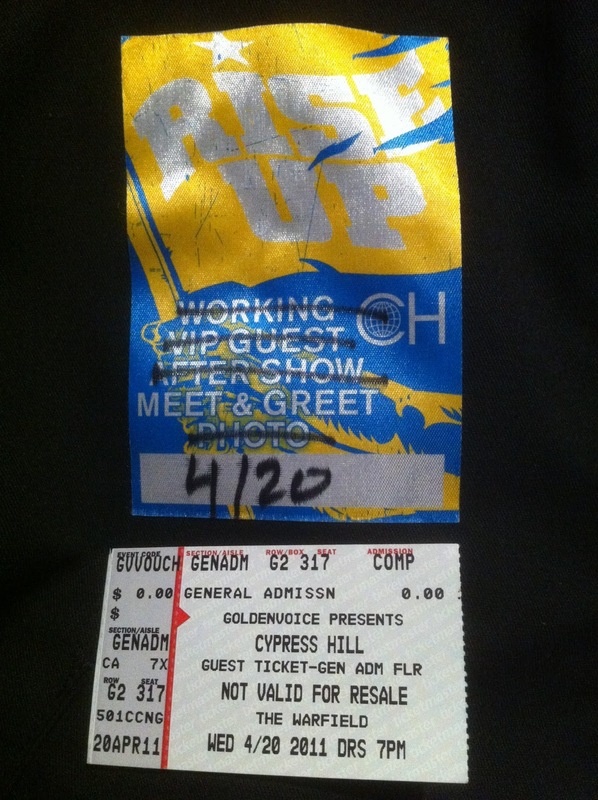 A little after 8:45 pm we headed downstairs to meet Cypress Hill. I realized the first time I saw Cypress Hill was back on February 13th, 1992 at the IBeam in San Francisco when they opened for Beastie Boys (Fu-Schnickens and MCM & the Monster played as well). 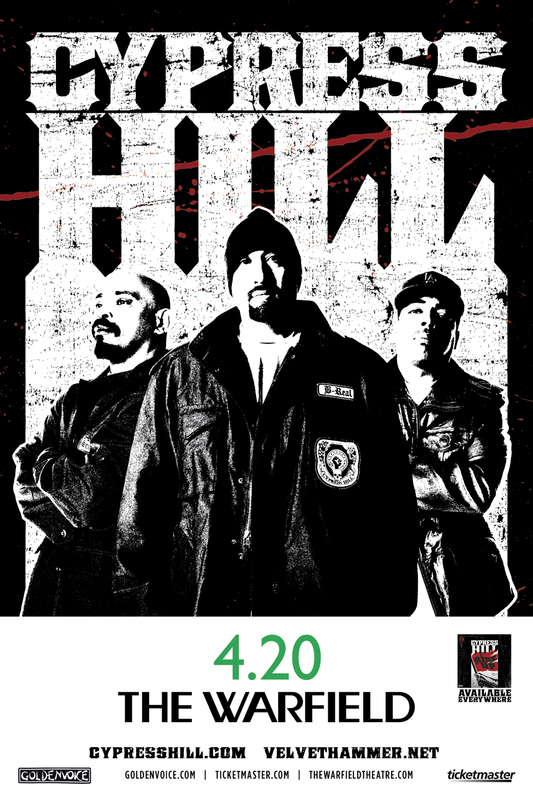 Cypress Hill was warned repeatedly about smoking on stage and eventually the club shut 'em down. From what I can figure it was their first gig in the Bay Area. Wikipedia says their first gig was Lollapalooza which was in July. I guess Wikipedia is wrong. I actually met Cypress Hill at another gig they played with Double D Nose, but for some reason I can't figure out where we were or when the gig was. 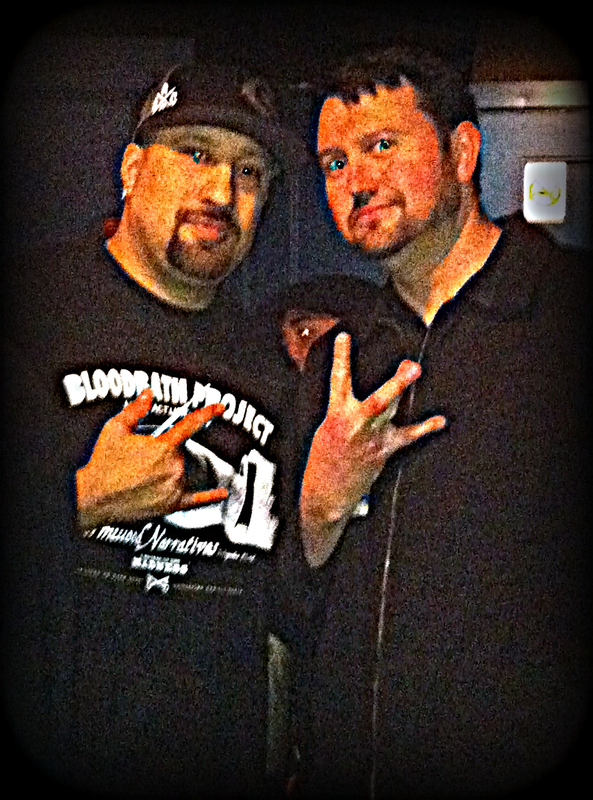 When I spoke with B-Real I mentioned the IBeam show to him and he said, "Dang, that was a long time ago". 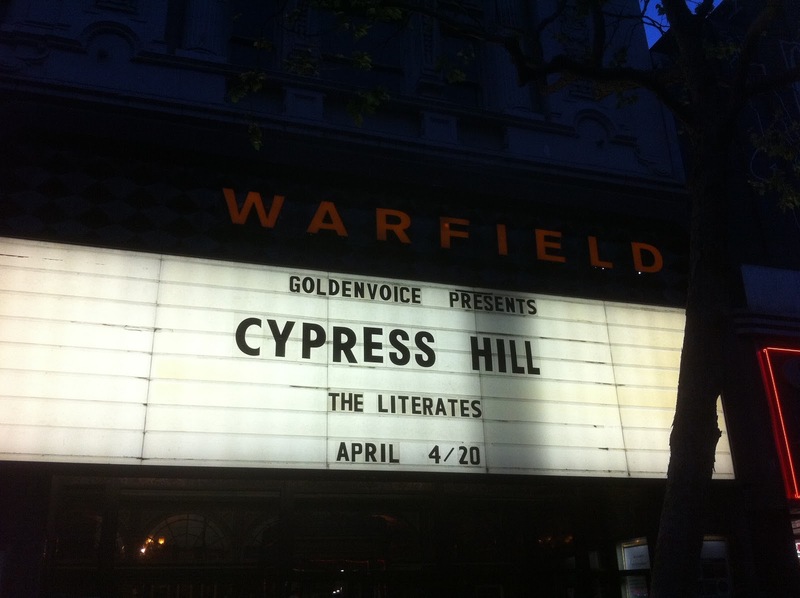 I had gone to other Cypress Hill shows since, but he was right, that was 19 years ago. I reminded him of being shut down at the IBeam and he said, "Oh yeah". I spoke with Sen Dog a little as well, but as I talking to the guys I was thinking about what it must be like to do this night in and night out. As a musician who doesn't do it for a living having that problem would probably be pretty cool and Cypress Hill has had a very long career, but as I posted via a social network, "(I) just met Cypress Hill...cool guys...but the whole meet and greet concept is strange to me. You are trying to get ready to perform and you gotta meet some clowns who want to photograph you. Cool deal unless you get stuck doing it EVERY SINGLE NIGHT." They did more than just go through the motions and were very nice. I guess I'd do the same...nice problem to have, really. After Jay snapped the above pictures we headed back upstairs to watch the show. There is no doubt in my mind why these guys have lasted so long. True professional entertainers. 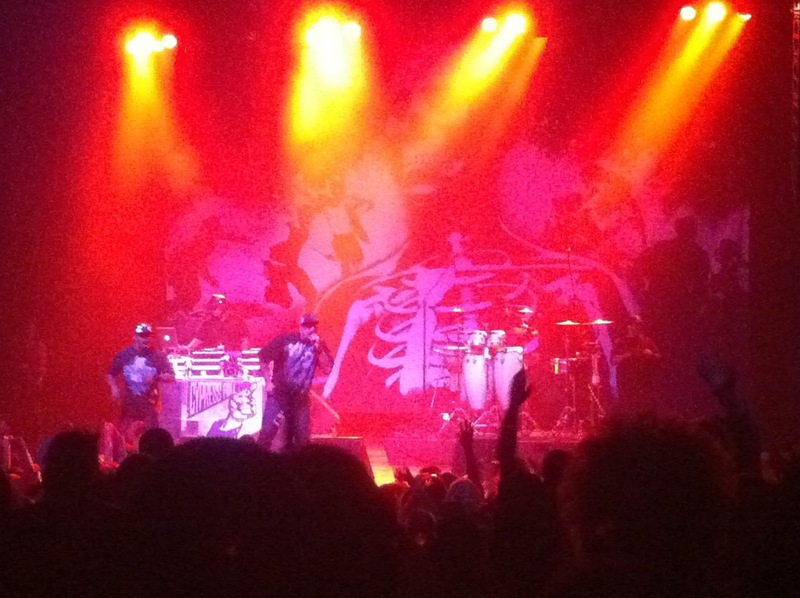 As EmCees, B-Real and Sen Dog flow seamlessly and keep the crowd into it. The addition of live percussion and Eric Bobo was a great move on their part. DJ Muggs wasn't there, but the stand in DJ, Julio G held his own. They ran through nearly every song I could want to hear and since they have so many CDs I wouldn't even know if they missed a favorite. Such a great show! Special thanks go out to Velvet Hammer Music and Management Group for getting me the tickets and allowing me to meet the guys.